"I needed to hear this today," she wrote on Facebook, and then proceeded to write the lyrics to a song I had composed five years earlier. 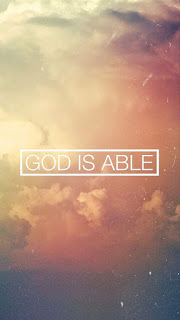 Yeah yeah, God is able"
I wrote this in 2011 following an instance where I was confronted with the phrase, "God is able." I remember posting the words on Facebook, but I don't know how she would have come across them five years later, unless she had shared it on her page. I prefer to think that it had to be the Lord. I have learned that what we share on social media matters, as in this case. That is why I try to be uplifting. In my life, I strive to do as this songs says. 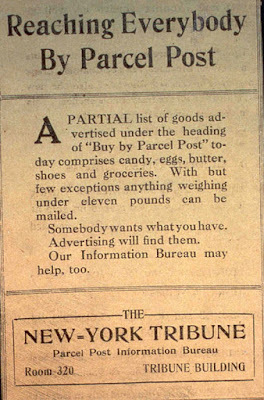 So should anyone else who is interested in helping mankind. I have a radio friend in Indiana, a child from the "Peace and Love" generation of the 1960's, who once asked me, "What about that "GOD" thing?" I told her how God is able and I shared with her the same exact testimony I just shared with the lady who posted my lyrics on her Facebook page. It is the same testimony I am about to share with you. The phrase, "God is Able," was something that I needed to hear back in 2003 when I was first diagnosed with Cardiomyopathy and was told my name would be the list for a heart transplant. My dad had died two weeks prior and I had three small children, the oldest being nine years old. In my darkest moment, lying there alone, weeping in that hospital bed, a lady, not a nurse, just someone who smiled at me, came into my room and handed me an envelope and then turned around and left. Inside the envelope was a card and inside the card were the words, "God is able." Ten minutes later, my phone rang. It was a close friend, a judge, who felt led to call and say to me that God is able to do all things. We both wept, I the more after all that had transpired in that hospital room within a matter of minutes. My name was taken off the transplant list the next day. Those were not the only times that I have been confronted with the phrase, "God is able." I had read a conversation between two of my Overton County cousins. One was talking about how hard life is. The other replied that she would be to her like Aaron and Hur in Exodus 17, where Moses realized that the Israelites prevailed in battle while his hands were raised but lost ground when his hands were lowered. I googled the phrase, "life is hard," which led me to Dr. Martin Luther King, Jr.'s "Eulogy of the Martyred Children," on Sept. 18, 1963. It was delivered at the funeral service for 3 of the 4 girls who were killed in the bombing of the 16th Street Baptist Church in Birmingham, Alabama three days earlier. "Now I say to you in conclusion, life is hard, at times as hard as crucible steel. It has its bleak and difficult moments. Like the ever-flowing waters of the river, life has its moments of drought and its moments of flood. Like the ever-changing cycle of the seasons, life has the soothing warmth of its summers and the piercing chill of its winters. And if one will hold on, he will discover that God walks with him and that GOD IS ABLE to lift you from the fatigue of despair to the buoyancy of hope, and transform dark and desolate valleys into sunlit paths of inner peace." I am confirmly convinced that God wants me to know that He is able, as the bible says, "to do exceeding abundantly above all that we ask or think, according to the power that worketh in us." (Ephesians 3:20). 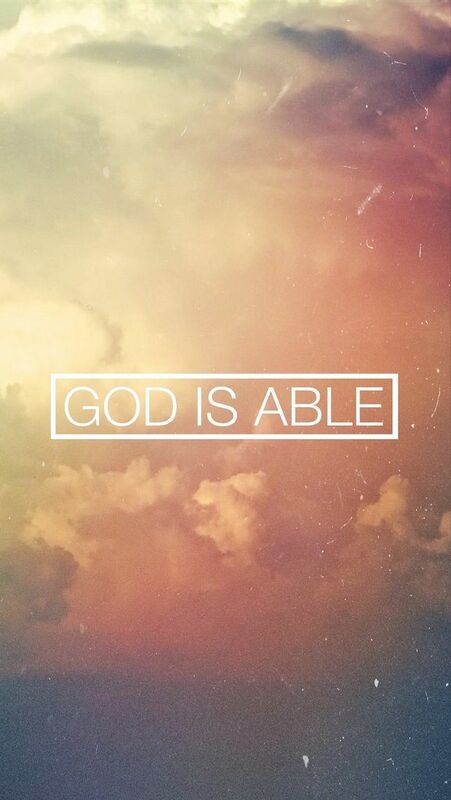 "God is able" has become my motto. The lady on Facebook said, "I needed to hear this today." If I need to hear it daily, that is fine by me. President Obama is always talking about righting wrongs. On this anniversary of D-Day, I know of one wrong he can right: Award a Medal of Honor posthumously to First Lieutenant Garlin Murl Conner. He served with distinction and valor in the United States Army during World War II. He is Kentucky's most decorated war hero. He servedon the front lines for over eight hundred days in eight major campaigns. He was wounded seven times but returned to combat and continued to fight on the front lines after each wound. 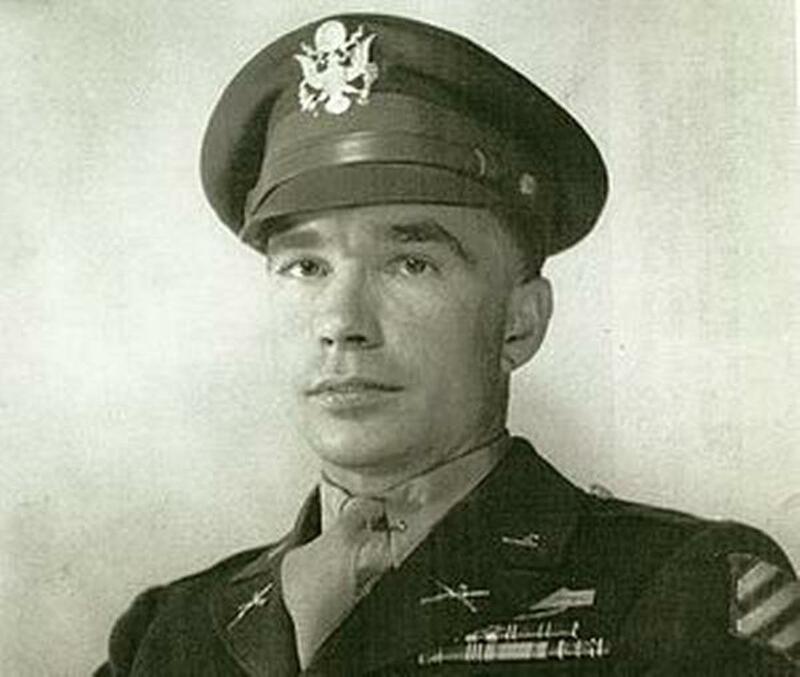 Lt. Conner left the U.S. Army as the second-most decorated soldier during World War II, earning four Silver Stars, four Bronze Stars, seven Purple Hearts, the Distinguished Service Cross and the French Medal of Honor for his actions during 28 straight months in combat. Audie Murphy has always been recognized as the most decorated soldier during World War II. The Medal of Honor would give Lt. Conner one more award than Audie Murphy, thus making him America's most decorated hero of all wars. Before his death, Lt. Conner's commander in World War II, retired Maj. Gen. Lloyd B. Ramsey of Salem, Va., filed an affidavit saying Lt. Conner's work, while injured, provided valuable intelligence. "There is no doubt that Lt. Conner should have been awarded the Medal of Honor for his actions," Ramsey wrote. "One of the most disappointing regrets of my career is not having the Medal of Honor awarded to the most outstanding soldier I've ever had the privilege of commanding." Lt. Conner's fellow soldiers also filed affidavits crediting Conner with helping not only save the lives of fellow soldiers but being key to defeating the Germans in the battle. "Between the artillery strikes Conner called in and spray from his own machine gun, he killed at least 50 German soldiers and wounded twice as many. His heroic and entirely voluntary act saved our battalion. If he hadn't done what he did, we would have had to fight for our lives," said retired Lt. Harold Wigetman, a member of the red Battalion. Mr. President, do the right thing. Award the Medal of Honor to Lt. Garlin Murl Conner. “Don’t touch me,” i’ll beat your brains out.” - Howard Cowell speaking to Muhammad Ali. 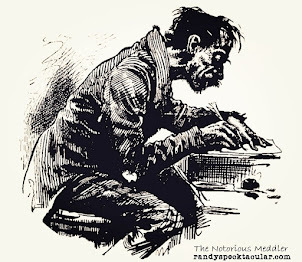 I recently wrote a series of stories entitled, "Sports Announcers I Grew Up With." On March 15th of this year, I paid tribute to the late Howard Cosell. His style of hard news-like reporting transformed sports broadcasting. 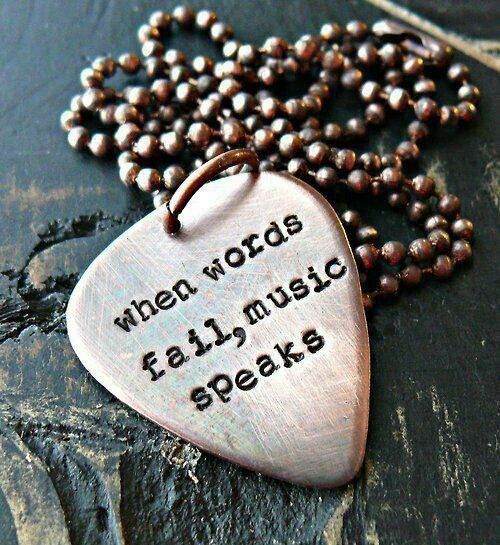 His distinctive voice, accent, cadence, etc. were a form of color commentary all their own. He admitted being arrogant, among other things, and he wore a toupee. Those things were all Muhammad Ali needed to rib Cosell. 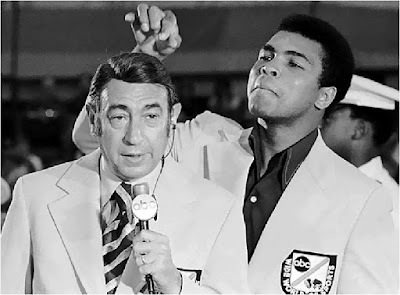 Ali loved to tease Cosell about his toupee and always threatened to remove it from Cosell's head. Of course, Cosell never let him do it. According to sportswriter Dave Kindred, the relationship between Ali and Cosell made for some of the best theater in American sports. Whether the pair were discussing an upcoming title fight or the state of modern society, their conversations always sizzled. "They should never have met. Ali and Cosell lived in parallel worlds, separated by the sociological barriers of age, race, religion, education, and geography. But greater forces were at work. For most of twenty years, the fighter and the broadcaster appeared together on national television so many times that they became a de facto comedy team, Ali & Cosell." "[They] were different. It was real. No scripts, no rehearsals, no let's-shoot-that-scene-again. What television viewers saw was the most famous man on Earth talking with the most famous television star in America." "The fighter forever titillated spectators with pantomimed threats to lift the broadcaster's hairpiece and once said, "Cosell, you're a phony, and that thing on your head comes from the tail of a pony." 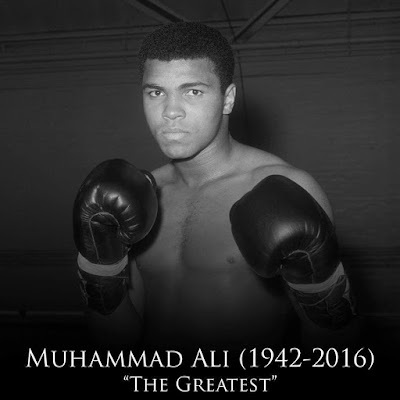 To a Cosell scolding of "You're being extremely truculent," the defiant child Ali replied, "Whatever 'truculent' means, if that's good, I'm that." "It made Ali & Cosell must-see TV. At the dawn of television's dominance of popular culture, they were both the creators and beneficiaries of sudden fame never before available. Both profited from the work, for without Ali engaging his liberal social conscience, Cosell would never have found his truest voice; and without the embrace of Cosell and the American Broadcasting Company when other networks wanted nothing to do with him, Ali could have been dismissed as a cultural-fringe aberration." "Only the rare journalist stood with him, though, and only Cosell did it on national TV. Cosell defended Ali's right to his religion, his right to oppose induction into the army, and his right to work while appealing his conviction for refusing the draft. He did it at the risk of his reputation and his livelihood in a business — television — not famous for principled stands that might offend advertisers. He did it, too, Cosell often said, despite thousands of hate letters he received." "Ali & Cosell worked because the men brought...to their television audiences, love and hate, racism and tolerance, fear and courage, idealism and compromise. Cosell loved Ali, the rebel with a belief, and Ali loved Cosell, the cranky old white guy brave enough to stand with him in the storm. "One was Beauty, one was the Beast, and we never quite knew which was which."